Today's Daily Telegraph, with the wide-eyed enthusiasm it reserves for prouncements from David Cameron, breathlessly informs us that "Private companies would be allowed to take over state schools under radical Conservative plans". But as we read down the story, we learn that . The Tories insisted that any profits would be ploughed back into the classroom but their willingness to hand over the running of schools to businesses will be seized on by Labour as the first stage in moves to "privatise" the state education system. Well, I suppose they might have in the 1980s, when the Torygraph last clocked into Labour's policies. But since the Tories are simply extending the status quo - given that under their plans the companies are not allowed to keep any profit - that would be rather odd. After all, this happened with Labour's blessing seven years ago and this and this are underway under Gordon Brown. But then it isn't only the Torygraph that has a jaundiced view of state schools today, is it? Tony Blair's new Interfaith Foundation has set as its mission the goal of bringing leading figures in the major world faiths together to promote respect and understanding between the major religions, and to encourage inter-faith initiatives to tackle global poverty and conflict. Cynics in Britain - particularly in the commentariat - like to mock such initiatives. One would never see a piece like the cover story in this week's Time in a British equivalent - it lacks the requisite supply of cynicism. Of course, most major religions have parts of their history of which they cannot be proud. But religion, contrary to the fashionable militant atheism of our time, can also be a powerful force for good, and can help to tackle some of our great conflicts. I hope the new foundation helps to show that to be the case. With more dismal polls, it has been open season on the Prime Minister. But two things this week suggest Gordon Brown is doing some things right. His agreement to sign up to a ban on cluster bombs - as hideous a weapon as landmines - is long overdue, and he was right to overrule the military on it. And it is absurd to mock him for following up letters to No 10 by calling some of the letter-writers. If it helps to give him a clearer perspective on what voters are thinking than he might get from inside the bunker, that must be a good thing. Senior politicians - and their policymaking - can only benefit by talking to people on the receiving end of their decisions. Obama doesn't have much luck with his preachers, does he? 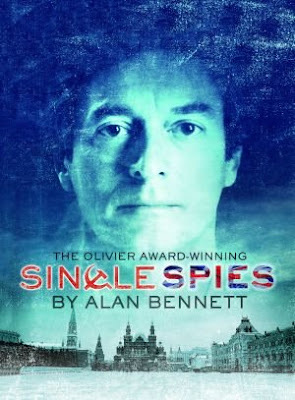 Alan Bennett's Olivier-award winning plays Single Spies have been at the Theatre Royal Bath this week in the theatre's own production of the 1988 hit. Diana Quick is superb as the actress Coral Browne in An Englishman Abroad and as the Queen in A Question of Attribution. Nigel Havers convinces more - despite his height - as Anthony Blunt in the latter than as Guy Burgess in the former, though the production's clever sets - completely changed in the interval - manage to convey the atmospherics of both settings well. The dingy Moscow flat of the exiled spy, where tomatoes have become a luxury, is offset by Burgess's pining for Savile Row suits; the doubts over the origins of a piece of work attributed to Titian, and the uncovering of its hidden secrets, offer an obvious if effective contrast with the treachery of Blunt. But in a post-Soviet age, both pieces have an even greater sense of historical curiosity than they may have evoked as the Gorbachev-led thaw was setting in during the late eighties. Nevertheless, it is a good production, and one worthy of revival. Gordon Brown has no shortage of advice on what he should do next. Denis McShane wants tax cuts. Simon Jenkins wants him to be brave and do everything that Simon Jenkins has been advocating in his columns. Alice Miles (and lefties in the PLP) want the 2p fuel tax rise delayed again. Truckers want to be made a special case. Brown must avoid being seen as a soft touch by every special interest group and grumbling backbencher that comes along. The 10p tax bungle was a particular problem that needed addressing. It must not become a precedent. Instead, the government needs to identify half a dozen significant issues where it can promise - and make - real progress between now and 2010. By all means make some of them areas where the Conservatives have a different view - polyclinics are an excellent example - but also find areas where Labour can deliver while the opposition talk - such as failing schools, where the number of low-attaining secondaries can be halved by 2010. Doing so will also expose the vacuousness of most Tory policy. The government must focus as relentlessly as possible on these issues, maximising the times that ministers allude to them and organising activities around them. And Brown should use his authority and that of No 10 to drive these policies - and their delivery - through. Of course, Brown also needs the economy to recover sufficiently too. But without such a clear focus, the government will not recover its sense of purpose. And it needs to do so urgently. 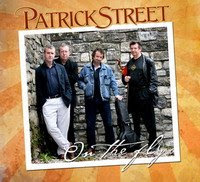 To see a great gig by the Irish group Patrick Street, which can lay claim to being heirs to the Planxty brilliance, in the Spiegeltent at the Bath Fringe Festival last night. Brilliant musicianship from the incomparable Andy Irvine, and great playing by Kevin Burke, with John Carty and Ged Foley, made for an atmospheric couple of hours, with a well-chosen mix of ballads, jigs and reels. The only puzzle lay in why the Bath festival people seem to have promoted the concert so poorly - the tent was probably only two thirds full. But do see when they tour again. "Well I got nothing against the press. They wouldn't print it if it wasn't true"
Joe Jackson's classic song Sunday Papers parodied the influence of the Sunday tabloids on British lives. At least in 1979, the Sunday papers provided a reasonable mix of investigative journalism, must-read reflection, arts and travel. But with vastly improved Saturday papers, much of this mix is better provided there. Now the Sunday papers may be larger, but they seem to have become a sorry melee of self-parody and cliche, as predictable in their output as a Eurovision song contest vote. Apart from a handful of commentators (Matthew D'Ancona and John Rentoul stand out) they rarely provide much that could be called 'must read' material in their news pages. Instead, if the story doesn't stand up, it must be made up. And so we had "Miliband is ready to save New Labour" in the Sunday Times, a story based not on evidence but on wishful thinking; and the equally implausible "Labour chiefs tell Brown: appoint a leader in waiting" in the Observer. My involvement with the media for many years put me off looking forward to the Sunday papers big time: I quickly learnt how to distinguish between stories that had a modicum of truth and those that were simply put together to pad out the headline. None of this is to deny that Labour is in deep trouble. But the sane and sensible performance of Alan Johnson on the Marr programme this morning is both a better guide to cabinet opinion and of what the party needs to do over the next two years than the acres of newsprint that could have been written to formula last Monday. Today's suggestion by the IPPR that schools should move towards a five-term year is an enormously practical contribution to the debate about how best to raise school standards. After the disruption of this year's early Easter, with schools facing breaks every few weeks, many teachers would welcome the idea. Some city technology colleges and academies - which are free from local authority norms - already opt for this approach to good effect. In the late nineties, an LGA commission that tackled the issue came unstuck as a result of teacher opposition, and came forward with the half-hearted six-term year instead. By having five broadly equal terms, pupils' learning is more structured; with shorter summer holidays, something that many parents would surely welcome, they forget less of what they have been taught. It is time to revisit this issue. Last night's substantial defeat in Crewe should be a cause for Labour renewal not introspection. The crass anti-toffs campaign will be seen by the media as having played a big part. In reality, the result echoes the local election results earlier this month. Labour is having the sort of mid-term blues that the Tories regularly experienced in the late eighties. But despite the extraordinary hubris of Team Cameron in preparing for a landslide, as revealed by Fraser Nelson this week, Labour still has a much more relevant programme than the Conservatives. This week's paper on school discipline demonstrated a practicality that is absent from Tory thinking on the subject; and despite the excitability of some pundits, there is little substantive difference between the two parties on school standards and structure. On health, the Tories have become a cipher for the BMA, while Labour is advancing a decidedly patient-focused agenda. However, the next election is unlikely to be won or lost on those issues. Labour's unprecedented school building and hospital modernisation programme, its higher standards in schools, better paid teachers and doctors, have all been discounted by the media; and despite often positive personal experiences, there is a disconnect in the public mind between the genuine improvements they see in local public services and perceptions of the national systems. So, while more should be done by MPs to claim credit for these improvements, it will not be enough. What will matter are the economy and a sense that the government has not run out of steam. At present, the polls suggest severe economic gloominess and a mood that it is 'time for a change'. Labour recovery - which is not the impossibility imagined by the media; Major won in 1992 after a far bigger by-election defeat for his party in mid-Staffordshire in 1990 - will depend both on economic recovery (and a sense that the cost of fuel and food is stabilising) and on a recovery of ideas and nerve at the centre. It also demands a much better selling of those ideas and what the Government is about. It is certainly true that there is little public sense of any of this today. But with a general election two years away - and the Tories having a weaker starting point in seats than Labour had after 1992 - there is still a lot to play for. This blog has accepted that Obama will be the Democratic candidate. But, once again, Andrew Stephen is brilliant at explaining why. It would be very foolish for any party to let it be known that it so takes the voters for granted that it expects a landslide at the next election. Before 1997, Labour had no such public expectations, despite much bigger swings than the Crewe polls suggest. So what can explain this extraordinary piece of hubris communicated via Central Office's favourite conduit? News that just 20,000 young people have signed up for the new Diplomas this year - 40,000 were expected to do so - can be explained by the confused marketing of the new qualifications. Ministers have spent so much time trying to tell us what they are not (vocational qualifications) and what they might be (replacements for A levels) that they have ignored explaining what they actualy are. No wonder parents, teachers and students are confused. Perhaps this reality check will prompt a long overdue review of how Diplomas are marketed; and a greater focus on the range of choices available to young people than on trying to equate very different qualifications. Regular readers will know that this blog has been a strong supporter of Hillary Clinton from the start. And last night's 2:1 victory in Kentucky shows again why she would be the stronger candidate to run against McCain in the autumn. It is also the case that had the Democrats not adopted a mad system of primaries and caucuses, which are weighted in favour of liberal rather than mainstream opinion, she probably would be the candidate. But the reality is that Hillary cannot now win this contest under its current rules, whatever her popular vote or strength in key states. However, she is not going to step down until there is some justice from the pig-headed leadership of the Democratic Party, and that means counting delegates from the populous states of Florida and Michigan. Florida's delegates should be seated proportionately, as all the candidates were on the ballot paper, and none actively campaigned in the state. Michigan's case is more difficult, as Hillary was the only main candidate on the paper, so their delegates should symbolically be seated 50-50. Once that happens and remaining superdelegates make up their minds, Hillary will likely still be behind, and should gracefully concede; the issue of whether she should be the VP candidate can then be considered. But to ensure such smooth sequencing requires some leadership from the party chairman Howard Dean. He must ensure a deal is brokered so that the Democrats go to the convention united. Dean has been utterly useless to date - which is no surprise given that he served to make John Kerry appear statesmanlike in the 2004 campaign. He now has a chance to redeem himself - and give his party with Obama as candidate a clean run for the White House. At a time when the media is trying to pretend that the government has run out of ideas (though seems a loss to explain what the Tories offer instead), it is perhaps unsurprising that so little attention has been given to a ground-breaking proposal from the Department for Children, Schools and Families. In an overdue overhaul of the pupil referral units for excluded pupils, replacing the poorest PRUs with alternatives delivered by private (including for profit) providers and charitable bodies, there should be much better provision for those at risk of exclusion, getting disruptive pupils out of the classroom quickly and offering many a better chance of gaining qualifications that many PRUs offer (although some PRUs are very good, despite the bad press they all have). While more should be done to give headteachers powers to purchase places in the new units, this is both a more radical and a more practical proposal on the subject than the Tories' alternative which rests on the mad idea that if you scrap appeal panels, discipline will be transformed overnight. It deserves a lot more attention than it has had. The chief inspector, Christine Gilbert, has announced a consultation on a more proportionate new approach to school inspections, with more resources targeted on the weakest schools and less frequent inspections for good and outstanding schools. There will also be more time spent observing lessons - the reduction in classroom observation went too far with earlier reeforms. And there should be less reliance on contextualised value added alone in making judgements. Taken with experiments over no notice inspections and more opportunities for parents to trigger inspections, this is a good package of reform which should focus attention where it is needed most. At her press conference, she also signalled a belief that standards have 'stalled' in recent years in both primary and secondary schools. Although there have been modest improvements in primaries - and stronger improvements in secondaries, especially academies - there is no doubt that a reduction in pressure on schools to achieve in the early part of this century led many primaries in particular to de-emphasise English and Maths. That pressure has now started to be restored - and, so long as ministers aren't distracted by dotty proposals to abolish testing or targets - there is a good chance of serious improvement in the years ahead, not least with stronger phonics and maths teaching. And the new inspection regime should help in that goal. To see Mike Leigh's Happy Go Lucky last night. While there are some fine performances - not least from Sally Hawkins (left) as the relentlessly cheerful Poppy and a particularly creepy driving instructor, Scott, played by Eddie Marsan - I'm afraid I found the whole film was as irritating as the Poppy character. it seemed to lack much narrative purpose, and felt far too long. I'm a great fan of Leigh's, but this one didn't work for me. Latest news from Dublin is that support for the Lisbon Treaty is running at around two-one in favour ahead of next month's referendum, though there are still too many undecideds for comfort. Key to a Yes victory will be turnout, but the huge popularity for Brian Cowen's new government suggests a protest vote less likely. A defeat for the forces of reaction would be a bitter blow for Sinn Fein, the only Irish party opposing Lisbon, and their new chums in Cameron's Conservatives. I debated the pros and cons of national testing with Professor Margaret Brown on the Today Programme this morning. You can hear the debate here and read a BBC News Online story about the discussion here. The right time for exam marking honesty? Normally one has to endure the spectacle of aged commentators raining on the parade of cheerful GCSE and A level students as they get their exam results in August. But it is quite something when an exam boss chooses a time when students are nervously sitting their exams to tell them that the marking might not be up to scratch. Of course, complete consistency in marking essays is impossible; and it is right that students should be aware of the fact. But is this really the right moment for the new head of Ofqual, Kathleen Tattersall to share this insight? Michael Gove, the shadow schools secretary, gets headlines by attacking 'scruffy teachers'. David Blunkett did much the same on school uniform twelve years ago. But the problem for politicians is that they can't impose new rules on every school, because more and more power is (rightly) delegated to headteachers and governors. And Gove talks almost in the same breath about free schools as he talks about a more rigorous curriculum. Isn't it time that politicians pointed out that there is a trade-off between greater freedom for schools - including the freedom, presumably, to set up schools that employ scruffy teachers - and desirable social and educational goals, which they imply should be the norm for all? A 67-26 victory in West Virginia by the woman whom the media has been declaring a lame duck is a reminder why this contest is not over yet. The maths of the Democratic race may dictate that Obama is the likely candidate, but the maths of the Presidential election are rather more complicated, and suggest Hillary is more likely to beat McCain. For the presumptive president only to score a quarter of Democratic votes in a vital state at a time when the media has anointed him as the candidate tells you all you need to know about why his party - and its superdelegates - need to think carefully about whether they want to win in November or exercise their liberal consciences in August. UPDATE: John Edwards's endorsement of Barack Obama is obviously an important boost for his campaign, and a blow the Hillary. It is, of course, probable that Obama will win the nomination (though it would be very odd for Hillary to step down before the rules committee decides what happens to Florida and Michigan delegates). But it is hardly bizarre as Stephen Pollard suggests to point out that Obama is not good at winning in crucial swing states. His victory owes as much to the odd weighting that the Democrats give to liberal caucuses in unwinnable states as it does to his overall strength. Hillary has won far more Democrat-voting and swing states than he has. And that may make it much harder for Obama to beat McCain in November. Which is something even his most dedicated supporters recognise. The Government has renewed its sense of purpose over the last few days. Of course, the lower tax thresholds should have been lifted in the first place. But doing so now is both right and fair, and given the base hypocrisy of the Tories, who had no answer to the question about how they would have responded, their protestations sound hollow. As importantly, by setting out a legislative programme for the autumn, Gordon Brown is showing that he means business for the year ahead. Labour has had a serious jolt in recent weeks. But it must not allow such setbacks to prevent it enabling the continuing improvements in health and education, and the social justice, that it was elected for a third time to deliver. The Childrens, Schools and Families Select Committee in its wisdom has decided that, while it apparently 'isn't opposed to' tests, it wants the national tests abolished. 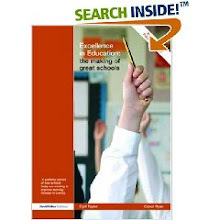 Apparently, schools are 'narrowing the curriculum' and 'teaching to the test'. Instead, the Committee favours a combination of in-school tests and 'sampling'. Part of the 'problem' is apparently that the current tests are used for too many things. The Committee are utterly wrong-headed about this. Their normally level-headed chairman, Barry Sheerman, seems to have been captured by the teaching union 'consensus' on the subject. This 'narrowing of the curriculum' means that youngsters get a better grounding in literacy, numeracy and science than they would get if they weren't facing national tests at 11 and 14. That's what they mean by teaching to the test. Don't believe me? Well, look at what happened before we had national tests. Children were expected to learn to read by guesswork. Now phonics is widespread. Good spelling and grammar were seen as old-fashioned by trendy teachers. Now primary schoolchildren have a better grasp of these basics than they have had for a generation. Basic numeracy, including times tables, was off the menu, and many primary teachers confessed that before the numeracy strategy, they had never been quite sure how to teach Maths effectively. But that's not all that would happen if we scrapped national tests. Parents would no longer have any objective measure with which to compare schools. Accountability would be out the window. Sure, they could have what teachers said was happening: but does anyone imagine that there won't be pressures on schools in a competitive admissions system to exaggerate their successes a little? And how could parents compare if schools were not using a similar objective measure? And schools would lack the comparative data that organisations like the Fischer Family Trust provide to help teachers set individual pupil goals, a key to school improvement. Such data has also helped thousands of schools serving our poorest communities to achieve massive improvements: look at primary schools in Tower Hamlets if you want a good example. Ministers are right to give the Committee low marks for its uncharacteristically lazy thinking. What would be most 'damaging' to our education system is not the continuance of testing, but a return to the 'let-it-all-hang-out' days when poorer kids were failed by 'progressive' teaching. Yet that is where this Committee would send them. Gordon Brown may be suffering from a glut of books and homeward-bound roosting chickens. But, he is rightly concentrating on issues that matter. The inadequacy of social care for elderly people is an issue of huge importance to millions of people. We all know too many people who have found it far too difficult to get adequate support in looking after sick and elderly parents or spouses. The state can't afford to provide social care for all (as the Scots have well demonstrated) nor should it, but this is an area demanding solutions every bit as imaginative as Adair Turner's pensions review. Automatically signing people up to a low administrative cost insurance scheme - from which they could opt out but in doing so would reduce their rights later - seems the only sensible way forward. That Brown is talking about it today shows that the Government is still thinking about the big reforms that are needed - and has certainly not run out of ideas - even if everyone else is more bothered about Frank Field's tenth anniversary revenge for being (wrongly) removed as welfare reform minister at Brown's behest. An ICM poll in Crewe for the Mail on Sunday suggests that the Tories will win the by-election by a narrow margin on a 10% swing since the general election. But with the sort of poll leads they are scoring nationally, the Tories should be winning a by-election like this easily - look at the sort of by-election swings Labour secured before the 1997 election to see why. But what is most interesting about the Mail poll is that it suggests Labour has picked the right candidate, and the Tories the wrong one. For voters say they are six percentage points more likely to vote Labour in this by-election than they say they would vote in a general election. A ten per cent swing is hardly the 35% of Christchurch, the 29% of Dudley West, 22% in SE Staffs or even the 21% of mid-Staffordshire in 1990 (two years before Labour lost the 1992 election). There was only one by-election, in Barnsley East, where Labour secured a swing below 10% between 1992-97. The nature of the candidates must be the explanation for a relatively poor showing by Cameron in Crewe. So, with strong promotion of Tamsin Dunwoody and plenty of exposure to Edward "Timmy" Timpson, there is more hope than other polling might suggest for Labour in this by-election. Crewe is Cameron's to lose. The media have now decided (again, though with an air of weary finality this time) that Hillary Clinton cannot win the Democratic nomination. With some, like the Guardian and the BBC's North American editor, the sense is that, in their not so humble opinions, she should never have tried to do so either. So what do the American public think? A new poll for Bloomberg and the LA Times shows that Hillary would beat McCain by nine points, compared with Obama's six-point margin. Add to that the fact that Hillary beats McCain by significant margins in Pennsylvania, Ohio and Florida, whereas Obama barely squeaks Pennsylvania, and loses the other two. Perhaps then one can understand why the remaining superdelegates are not rushing to ditch a potential winner for one who is by no means certain of defeating McCain in the autumn (and most of whose victories come from liberal caucuses in Republican states) - however impatient the media may be with them for their defiant impertinence. I'm sure Mr Miliband himself would rather continue as Foreign Secretary, but moving him to the Treasury would show something else: that Mr Brown has the confidence to trust someone with the job, who is not in his inner circle, someone with an independent streak, who would not be pushed around. Mr Miliband would have the opportunity to take the fight back to the Tories, put David Cameron and George Osborne on the back foot and push forward a powerful agenda around his key theme of empowerment, giving people greater control over their lives. A lot of nonsense is talked about schools tests. And if today's Guardian is to be believed, we are in for a lot more over the coming week. Before we get carried away with it all, let's remember a few facts. First, the only compulsory national tests are those taken at 11 and 14 in English, Maths and Science. Those taken at seven are teacher assessments in much less controlled environments. Everything else is voluntary or has alternatives (including GCSEs, AS levels and A2 levels). Second, without tests, we would have no proper independent accountability for schools. None. What the teaching unions want is to mark tests within schools, making them worthless for such purposes. We must retain this independence. Third, because we have comparable test results - and GCSEs and A levels - we are able to give schools a proper sense of how they and their pupils compare with other similar schools, one of the most important drivers for improvement. And finally, this notion that we are 'the most tested in the world' rests on an assumption that tests don't exist in other countries. They do. The main difference, as I discovered talking to Finnish primary teachers is that their compulsory annual tests are set by the city of Helsinki not nationally; the same is true in many American cities and states, a point of real difficulty with their No Child Left Behind programme. if the pilots of the Government's progress tests prove that the existing system is better and easier to administer, we should stick with what we have. Of course, it is worth looking at whether we need quite so many modular exams at GCSE and A level - there should be a premium on synoptic assessment - but the idea that we should do away with independent external testing should be resisted at all costs. Ireland's new Taoiseach Brian Cowen has made an imaginative start with the new cabinet he announced on Wednesday, with the promotion of the able rising star Mary Coughlan (left) as Tanaiste and Trade minister and the effective Brian Lenihan as Finance minister. His coalition agreement makes it impossible to move Mary Harney from health, where she has had a stormy time, though she is trying to push vital reform; or the more impressive John Gormley, a Green environment minister. However, moving Mary Hanafin from education to a family ministry is a shamful appeasement of the teaching unions who disliked her belief that parents deserved to be informed about schools. (Ireland's bizarre Freedom of Information laws ban parents from seeing school exam results or inspection reports, measures taken at the behest of the unions). It is doubtful her successor Batt O'Keeffe will go down as a great education reformer. Michael Martin's continued rise is confirmed, with a move to foreign affairs that should give him a higher profile in Britain. All in all, it suggested sure-footedness by Cowen and a fresher feel (education aside) to a government that is facing a much sharper economic downturn after the UK, a result of its spectacular recent growth. Despite this, Labour under Eamonn Gilmore and the hapless Fine Gael leader Enda Kenny face an even tougher task with Fianna Fail's refreshing than they did while Bertie was still in post. Two pieces of good news on reading in schools today. First, Ofsted reports that phonics has become more embedded in primary schools than was thought: there is still a challenge in one in five schools, but the report suggests that the revolution started by the Rose review is having a real impact. Second, the government's Every Child A Reader catch-up programme is helping those who need extra help to learn to read. Both measures mean that the progress made in the early years of testing and the literacy strategy is now being renewed after a hiatus. The important thing is to make sure that phonics is taught first and fast, and the success of the recovery programme doesn't detract from that goal with the vast majority who can and should learn to read earlier. Moreover, it also shows a Labour government continuing to deliver where it matters, whatever the polls say. The debate about parent power in schools is all too often limited to the questions of admissions and school choice. And though those are clearly important - the government should do more to enable parent promoters to get heard, for example - there is another important way in which parents can be powerful - in helping to ensure that their child achieves their potential. Contrary to the ill-tempered outburst by Chris Parry yesterday, there are a growing number of good state schools. And one common feature is the way they use individual pupil data to set challenging goals. A part of that process increasingly involves regular engagement with parents; as new research today showed, that is better done through informal one-to-one meetings and information on the internet rather than traditional parent evenings. With so much data, teachers can provide regular objective updates on progress and potential. This was an important part of the 2006 education act - where a minimum of termly information was required of schools - and it is good that Ed Balls is so actively promoting it. The Disasters Emergency Committee deserves as much, if not more, support for their appeal over the Burma cyclone as was given during the tsunami a few years ago, so long as they can ensure that the money is not going to the evil regime. But Bernard Kouchner, the French foreign minister, was surely also right to question why the United Nations could not do more under its 'responsibility to protect' to intervene when the military junta in the country has so patently been unable to face up to its governmental responsibilities. At least, the regime is finally accepting that the UN can do more, but it must provide that access without restriction. The tightness of the Indiana result and the failure to dent Obama's significant North Carolina lead have certainly made it harder for Hillary to continue, not least because she allowed expectations to be raised in the last week. But her basic arguments about the disenfranchisement of millions of Florida and Michigan Democrats remain. And, if anything, Obama is a far less winnable choice today than a month ago, which has as much to do with his ability as a politician as it has to do with her tough campaigning. The man who should be doing more to sort all this out is Howard Dean, the party chairman whose main claim to fame was his losing scream in the 2004 primaries. Dean needs to resolve the Florida/Michigan issue fairly, and set the scene for a sensible resolution of the contest once all the votes have been cast in early June. Until then, there is no reason why Hillary should bow out. While brave Beverley Hughes eschews cheap cheers from rowdy headteachers, cowardly Andrew Lansley - David Cameron's shadow health secretary for life - is rolling over to have his tummy tickled by shameless GPs and their trade union, the BMA. As an interview in last week's Pulse revealed, Lansley is planning to scrap polyclinics and allow GPs to return to opening when it suits them rather than for the convenience of their patients. He will abandon a Labour target that half of surgeries should open longer hours (the Tories are also committed to longer waiting times for hospital appointments). Yet, as consultation in London has revealed, over half of people consulted in the capital want polyclinics and three-quarters favour evening and weekend opening. The fact that the Tories are able to get away which such anti-patient policies shows just how little scrutiny they now get from a media that would roast Labour alive if it aligned itself so closely with a powerful trade union. The fact that they can advocate such policies shows how far removed they are from the true interests of people who work and pay their taxes to fund GPs' salaries. Beverley Hughes stood her ground well against the heckling of an audience of NAHT activists on Monday, when she defended tests and tables. Headteachers have been one of the biggest recipients of improved pay since Labour came to power. It is extraordinary that their activitists should turn around and demand the abandonment of the main tools of accountability in return. Bev has been a good children's minister, bringing a harder edge to a notoriously woolly area of policy. Her strong defence of testing and tables should earn her the gratitude of parents, pupils and anyone who cares about education standards. Iain Dale may choose not to take bank holiday weekends off, but we enjoyed ours with friends in Aachen, reached within four hours of the magnificent new St Pancras station by Eurostar. Aachen was once the centre of the Holy Roman Empire, and the splendid cathedral boasts many relics of Charlemagne and other significant Christian figures. It was where many German kings were crowned. We enjoyed breakfasts on the terrace of the splendid Quellenhof hotel, where we had a great value stay, and a balmy May Sunday at the excellent Carolus Thermen spa. I don't know why the city is not more popular for city breaks. Certainly it was an excellent antidote to the smugness of Dodgy Dave. There can be no disguising the awfulness of Thursday's results. Gordon Brown faces a mountain of a task to restore confidence in his government and morale in his party. But it is not the impossibility that some commentators believe. However, it does demand some basic changes. For a start, we need fewer wonkish interviews like those given on Sunday, and more genuine discourse with the lives of real people. Then, we need to have a much clearer sense of policy purposefulness. It was interesting that last Thursday's BBC election night poll showed an improvement in government ratings on the NHS since 2007, coinciding with a victory over the BMA on an issue that matters to patients and the capitulation of the Tories to the doctors' trade union. Brown needs to set clear goals in other areas that matter to people's lives and bring real purpose back to the government. And, finally, we need a much clearer exposure of the Tories' policy void(the NHS is not the only area devoid of practical policy alternatives). This will not be enough of itself: the economy is going to matter above all. It helps that the fundamentals - growth, employment, inflation - remain broadly favourable, but the cost of food and fuel are biting and it is unlikely that the government's fortunes will change until they start to ease. But what is most certainly not needed is a mad lurch to the prescriptions of Compass or the hard left: down that road lies certain defeat. These are not easy times for Labour: but the party must hold its nerve.